Chevrolet’s 2019 Trax SUV offers the best of both worlds: it has a turbocharged ECOTEC® engine that receives up to 31 MPG and the 2019 Chevy Trax is a compact SUV that has room for all of your gear. Also, the 2019 Chevy Trax has advanced safety features, convenient and entertaining technology, and it has also earned an NHTSA 5-Star Overall Vehicle score. Read on to learn about everything this incredible compact SUV has to offer! The sporty 2019 Chevy Trax has style that stands out. 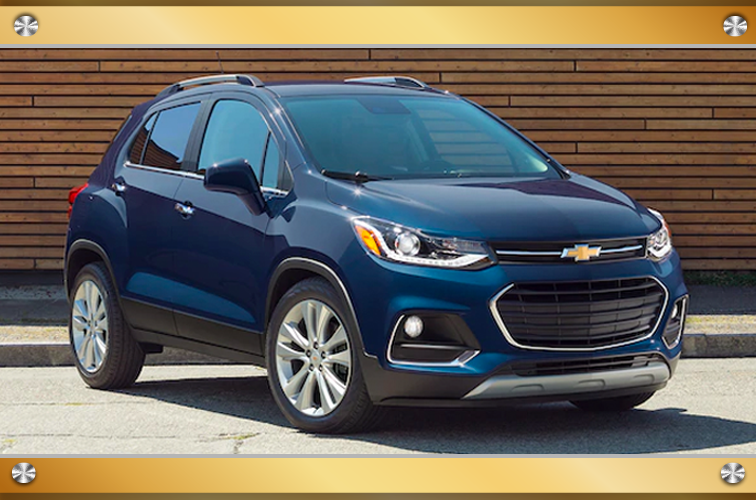 With details like a dual-port grille, premium accent stitching, chrome accents on the instrument panel, a 7-inch touchscreen, LED daytime running lamps, available halogen projector-style headlamps, and available 18-inch aluminum wheels, the 2019 Chevy Trax is sure to turn heads. Be sure to check out the even more stylish 2019 Chevy Trax Midnight and Redline editions. No matter your personal style, you can find a Chevy Trax that suits you. 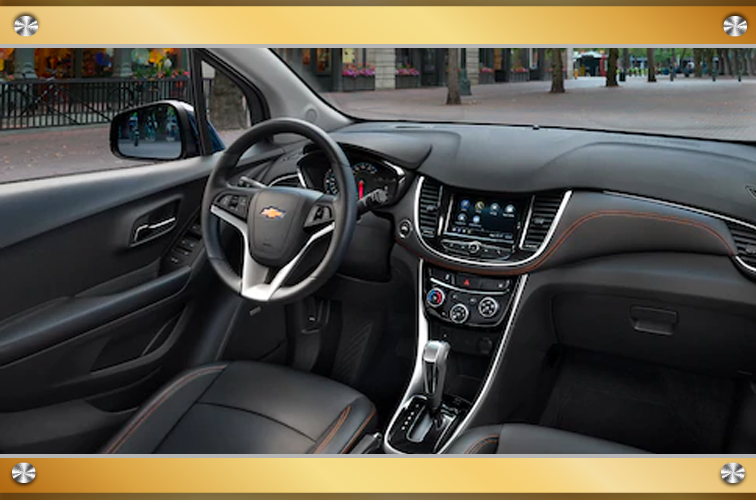 The 2019 Chevy Trax offers incredible interior space and advanced technology for entertainment and convenience. Its second-row seats fold down and so does the front passenger seat, making room for sporting equipment, camping gear, and anything else you need to carry that’s up to eight feet long! The 2019 Chevy Trax also comes standard with the Chevrolet Infotainment System 3 and has a number of convenient technology features like smartphone integration, bluetooth audio streaming, available built-in Wi-Fi, and available turn-by-turn navigation. Get the convenient and entertaining riding experience you’re looking for with the 2019 Chevy Trax. You can count on modern, high-tech safety features in the 2019 Chevy Trax SUV. It comes standard with OnStar® and Chevrolet Connected Services capabilities, a rear vision camera and StabiliTrak, an electronic stability control system with traction control. The 2019 Trax Premium trim also comes standard with Lane Departure Warning and Forward Collision Alert. For added safety, consider the available Rear Park Assist, Rear Cross Traffic Alert, and Side Blind Zone Alert. In addition, although the 2019 Chevy Trax is a compact SUV, it also comes standard with 10 airbags and a high-strength steel safety cage. The 2019 Chevy Trax also has an available automatic all-wheel-drive system that kicks in when you need it. Stay safe on any road with the 2019 Chevrolet Trax SUV.